The painting on the 7″ record cover is called Discovering Utopia by Jean Smith. Back cover by Jean Smith. Four artifacts – the 7″ record covers, David Lester’s Malachi poster, and a live Mecca Normal set recorded by Malachi Ritscher – are part of Public Collectors: Malachi Ritscher, an exhibit curated by Chicago’s Marc Fischer about American activist and music documentarian Malachi Ritscher (1954 – 2006) who self-immolated on a freeway median outside of Chicago to protest the war in Iraq. Ritscher made a video of this action that was not widely seen. Jean Smith’s written introduction to the exhibit will be published in the official 2014 Whitney Biennial catalog. Public Collectors: Malachi Ritscher will include artifacts from Ritscher’s work as a documentarian focused on recording the Chicago music scene, including a Mecca Normal performance at the Empty Bottle. The live set was recorded by Malachi Ritscher on November 11, 2002 while Mecca Normal was on tour with their album “The Family Swan” (Kill Rock Stars, 2002). On this occasion, a touring version of How Art and Music Can Change the World was being exhibited upstairs at the Bottle Cap. Malachi visited the art exhibition, which included many of David Lester’s “Inspired Agitators” posters and Jean Smith’s paintings depicting politically-charged events. During July and August of 2014, Public Collectors: Malachi Ritscher will be exhibited at the Experimental Sound Studio in Chicago. 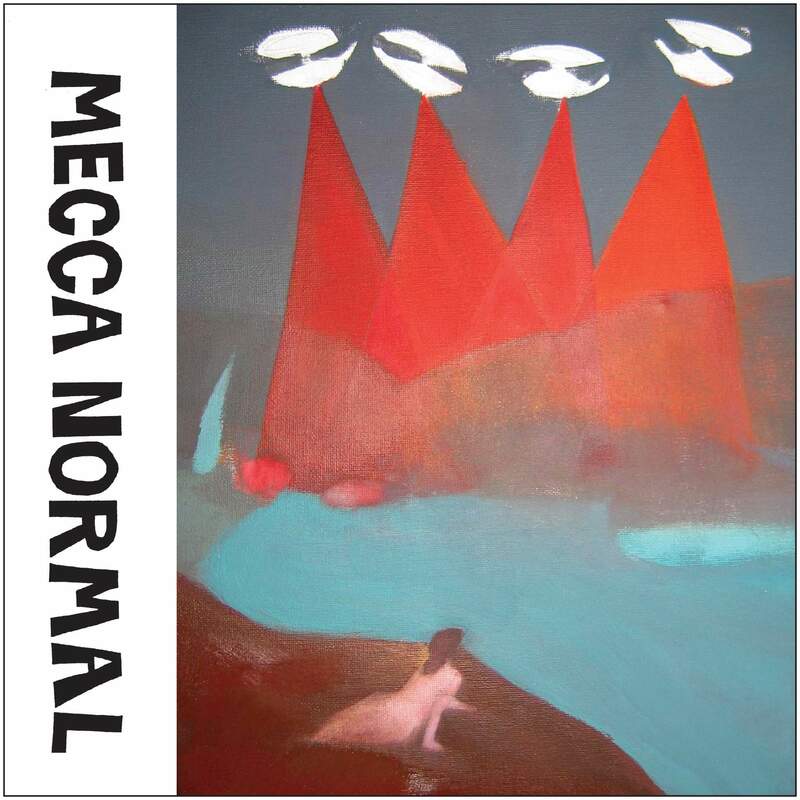 Malachi – the Mecca Normal song about Malachi Ritsher’s intentions and his death – was released as a 7″ record in 2010 by Olympia, Washington’s K Records. 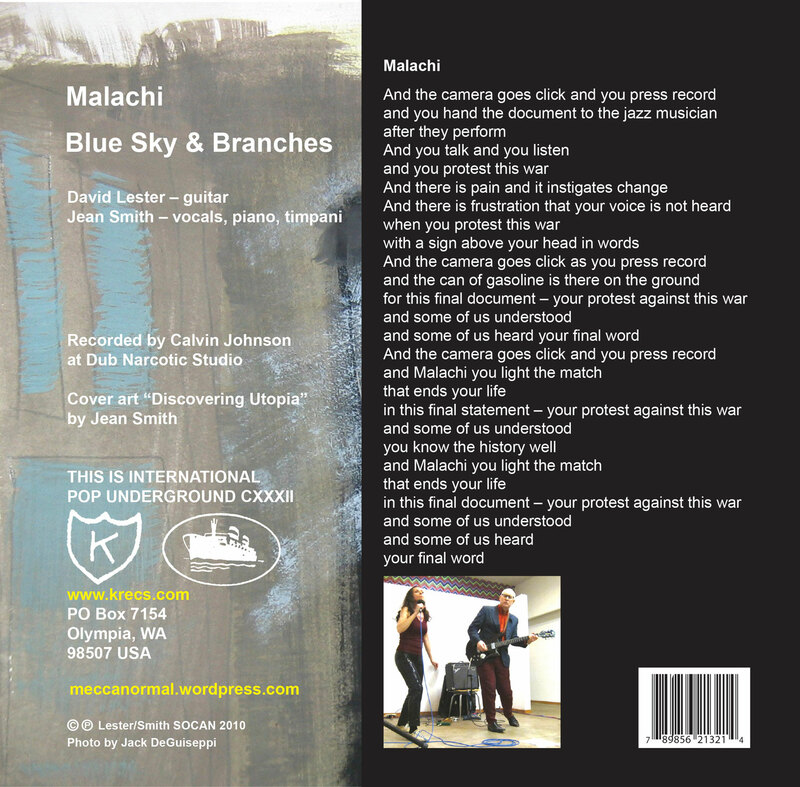 An acoustic version of the song and a video by Jean Smith were released on November 3, 2013, the seventh anniversary of Malachi Ritscher’s death. Jean Smith vocals, David Lester acoustic guitar, KRAMER on bass and keys. Produced and mixed by KRAMER.